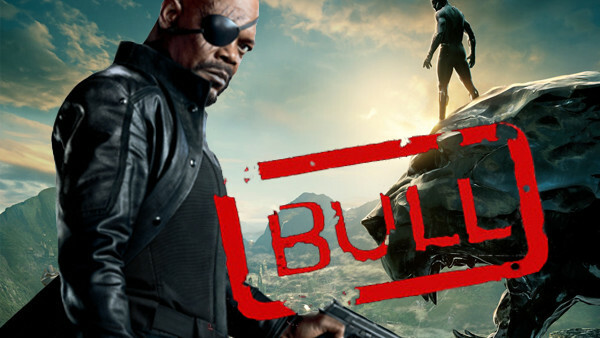 Sorry folks, no Nick Fury (again). Black Panther is in cinemas now, and like every remotely anticipated superhero movie, it arrived on a tidal wave of rumours, fan theories and expectations: some of them sensible, others hilariously outlandish. These 12 rumours are the ones that picked up the most traction in recent months, either due to their suspicious plausibility or outrageous absurdity, from expected cameos and teases for future films through to more shocking potential revelations and appearances. Not a single one of them turned out to be true in the end, though, and while some certainly could've worked, for the most part director Ryan Coogler seems to have made the right call. While many fans convinced themselves that Black Panther would have explicit ties to the upcoming Avengers: Infinity War, Coogler most definitely made the right choice by keeping those links disparate at best.